A friend of mine wants another owl journal (I made one for her last Fabruary), needed urgently. I tried painting some canvas to use as the book cover, but wasn’t happy with the way things were going last night. This morning I put the idea of a painted cover aside, and started making a felt owl for the cover instead. When the owl was done, I realized it wouldn’t look too bad, stitched down to the original piece of painted canvas. So I put the two ho-hum ideas together, and came up with one book cover that I am really happy with. I’ll be doing all the binding stuff tomorrow, and post pics of the finished journal. 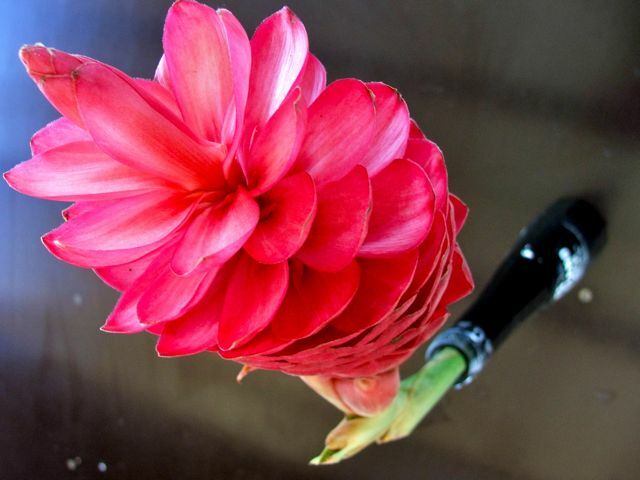 Kris went to the Parap Saturday markets this morning, and brought me home a couple of huge, unearthly ornamental ginger blooms. I love the pale pink one, it looks like an exotic form of whorled shellfish. Prepare to be violently impressed when master musician Gene Peterson goes head to head with multi instrumentalist Adam Page in this phenomenal musical showdown. In a 100 minute jam-packed performance, the audience will be treated to a plethora of amazing skills, from simultaneously playing keyboards and drums, to Tibetan throat singing, to using a variety of vegetables as musical instruments!! Sometimes quirky, often hilarious, at times unbelievable but always impressive, Loop the Loop offers the ultimate performance package. I hear they play have composed pieces for squeaky bath toys and flutes made of zucchinis; how have I managed to live without knowing how to turn a zucchini into a musical instrument? “Run, don’t walk!” was the message my friend sent me on Facebook. So I’ve gotta run. 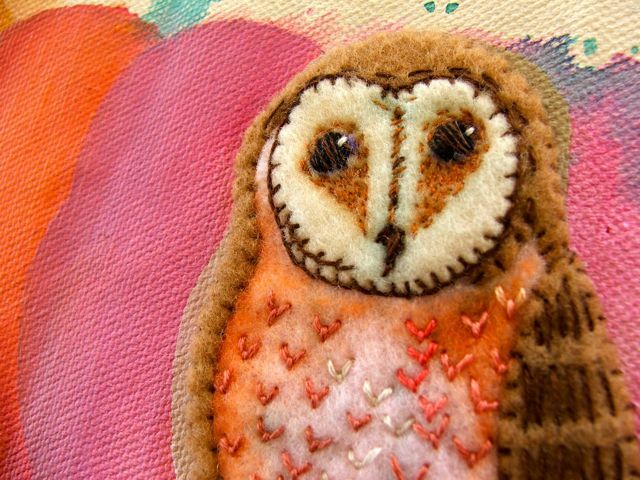 The felted owl looks fantastic. Your friend will love it. You are so creative. 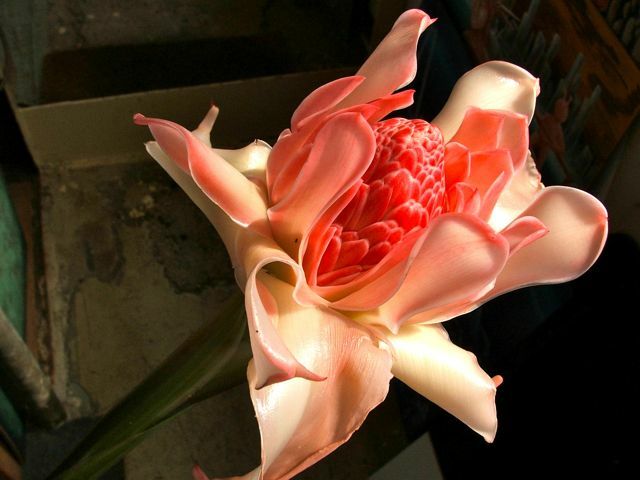 The owl is wonderful – so realistic – and the ginger blooms so utterly exotic. What a fabulous juxtaposition. Realistic? I hadn’t aimed for that…it’s pink! But I guess the shading is what does it. Great idea, shading felt with oil pastels or colored pencils…I saw it in a Japanese craft magazine once, it struck me as brilliant. And the juxtaposition, well, that sort of just happened, too…the day brought me nothing else to photograph or write about! But I suppose any sort of combination will come across, in a blog, as purposeful. 🙂 Thank you for these visits and comments! like the repeating owl and pondering is he moving from right to left or vice versa? Macro to micro micro to macro? 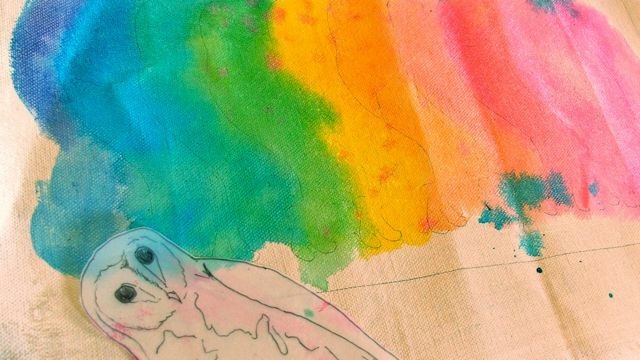 Rainbow congealing or decomposing? I imagine a kind of Incredible HulkLinda-Carter-turning-into-Wonder-Woman sound effect to this line of repeating owls…a gentle but rapid tapping on cymbals, with space-age distortion. Congealing, I think, like a prism rainbow combining to make white light. From the narrowest to the widest wavelength, too. And don’t ignore my references to hallucinogens, Bob Dylan posters, and psychedelia! 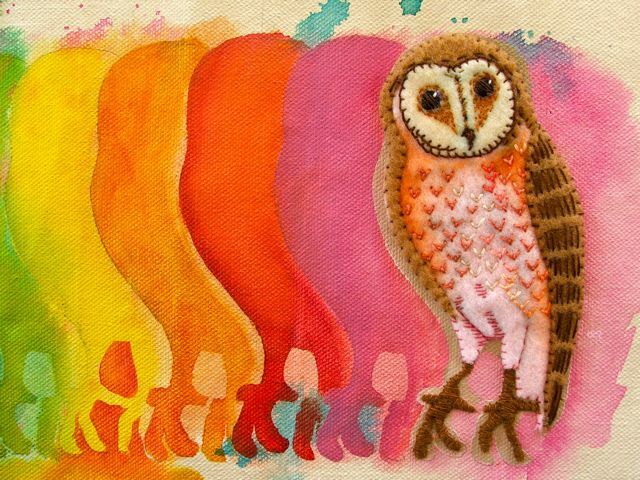 The earthy brown details of the owl look AMAZING against the fresh, juicy colors of painted canvas. Awesome! And that first flower… wow! I can’t imagine having access to flowers so lush. I would fill my house with them. Thanks for the burst of inspiration on my Saturday morning! What the other half has, always seems so exotic compared to what we have. 🙂 We from the tropics envy temperate climes their fabulous peonies and tulips, their pears and blackcurrants…grown unappreciative of our crazy “inedible ginger” flowers and our spiky rambutans and mangoes. 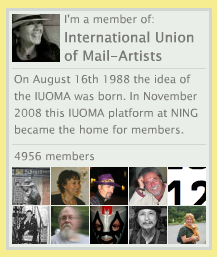 Glad to have inspired your morning, and thank you for, in turn, inspiring mine!